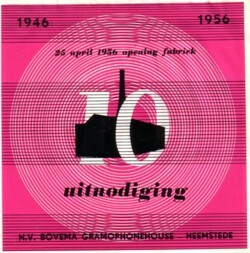 Bovema was the record company that introduced the 45 record in Holland. 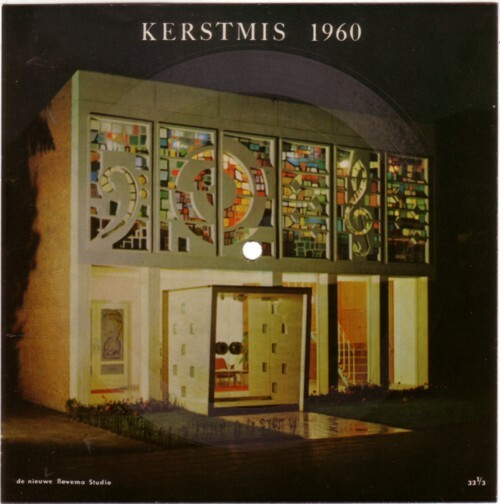 They started in 1946, with a license for selling the Columbia catalogue in Holland. They started pressing their own records in 1948. I know this (and more) because it is said on one of the five advertisement records that Bovema made for themselves. Two of these records are picture flexi records; it is the same picture on both records, but with different texts and different sounds. If you want to hear uninteresting records, you should try these five Bovema advertisement records. I prefer to have songs on advertisement records. Bovema preferred to have people talk about the company on their records. And in between the talking they play short fragments of their hit records, which are by Edith Piaff, Frankie Laine, Johnny Jordaan and other artists, that are so popular that they don’t need this blog to keep their music alive. It is strange that a company like Bovema didn’t think of me when they made these advertisement records fifty or sixty years ago. I mean, it turns out that in the long run I am their best audience: I don’t think that anybody else on this planet has listened to all of these records in the past half century. 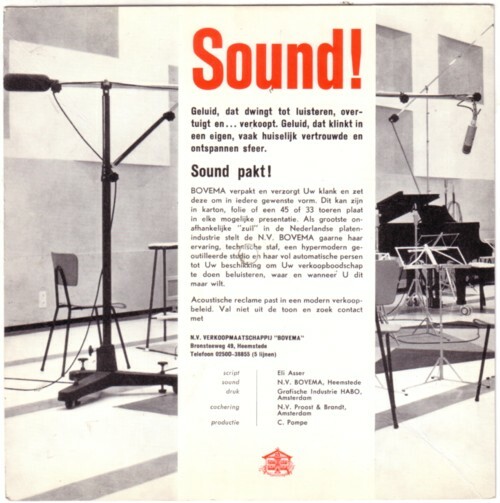 If you understand Dutch, you have heard on this record that they claim that Bovema is the main producer of paper records in Holland. Is that so? There were several other companies active in this field. How many and which paper records come from Bovema? On the label of a sleeveless on-sided 45 (45 BOV 197) we are told that “Bovema heeft u iets feestelijks mee te delen, luister maar!” . That is all the information. In the groove we hear a voice talking, as might be expected. But it is the voice of Toon Hermans, one of Holland’s most popular stand up comedians of the previous century. He is not funny, although he is trying hard to be. But I want to share it with you anyway. When I said that I am the only one who listens to this stuff, I did not mean that you are not allowed to listen to it. If you like it, let me know, and I will gladly post the other four records too!